And why you need to make your next trip to British Columbia. I&apos;ve wanted to travel to Vancouver for as long as I can remember, but for whatever reason, it took until this past weekend for me to finally make it there. And let me tell you: It completely exceeded all of my (very high) expectations. It probably helps that I didn&apos;t have to plan a thing—my boyfriend Jonah handed me two tickets on Monday evening and told me he&apos;d spent the previous six months secretly planning a trip for the two of us. The weather was perfect and the long weekend we spent in "Van" was one of the best trips I&apos;ve ever taken. There was great food (! ), adventure (!! ), and some of the nicest people, and if you&apos;re traveling from the West Coast, it&apos;s a quick 2.5 hour flight at $200 round-trip (though you can find tickets for even less!). We left Friday and got back Monday evening, but it felt like we&apos;d stayed an entire week in British Columbia. Here&apos;s how to spend 72 hours in Vancouver (and Squamish)—and why you need to drop your next travel plans and go ASAP! Where we stayed: We rented an Airbnb apartment in an area called Gastown, which is on the northeast end of Downtown, bordering Chinatown. It was my favorite part of Vancouver—there are great bars, restaurants, and shops—but it&apos;s also worth noting that there&apos;s a lot of out-in-the-open drug use, particularly of fentanyl and cocaine. 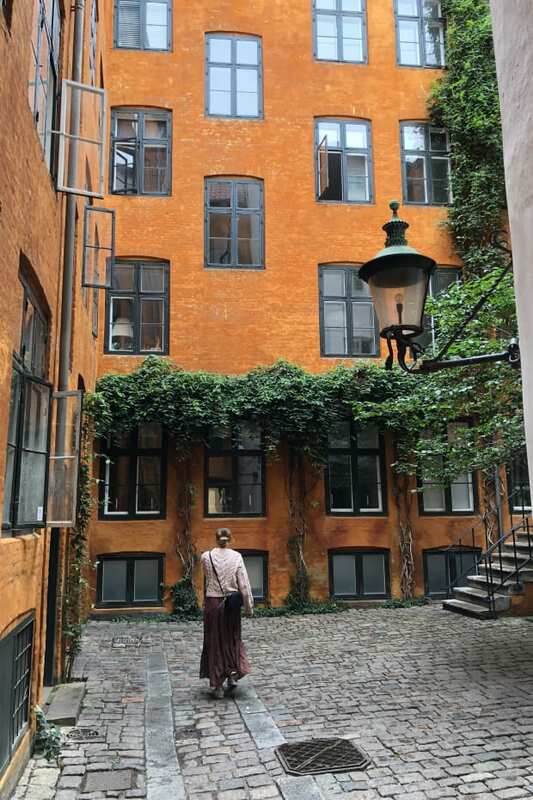 While you&apos;ll definitely see it if you visit, our Airbnb host assured us that there&apos;s a low crime rate in the area, and we always felt very safe, even walking around at night. 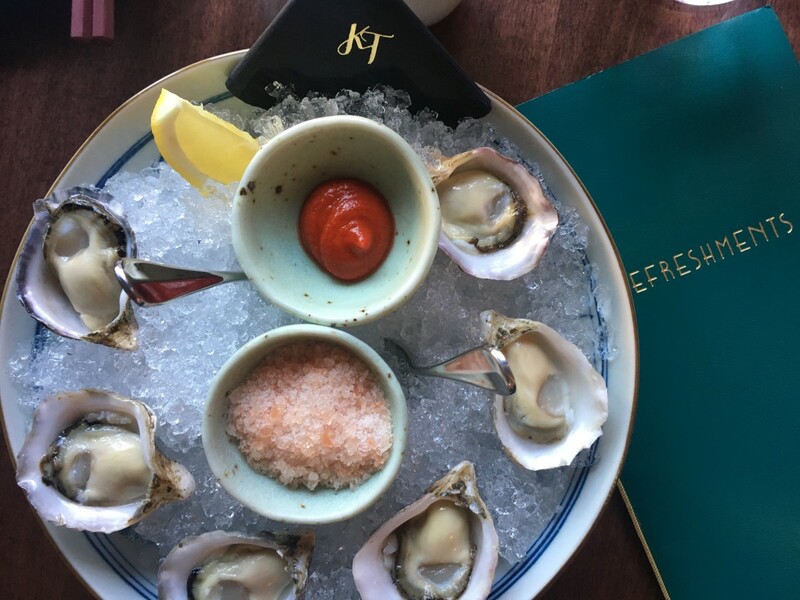 10 p.m. Venture out for a late-night drink - The Keefer Bar: This Asian-inspired bar is one of several new-ish, hip cocktail spots popping up in the Gastown/Chinatown area. From the "List of Remedies and Cures," Jonah and I ordered The Harbinger (a bee pollen, gin, egg white, and lemon sherbet drink) and an Opium Sour with poppy seeds and pisco. Both were the perfect introduction to cocktails in Vancouver—we ordered several over the course of our trip and every single one was delicious (and strong). 10:00 a.m. 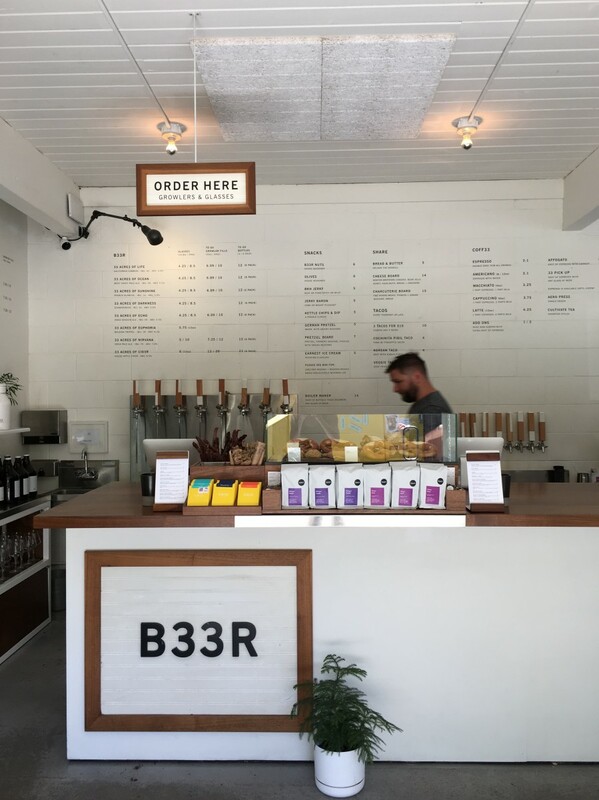 Grab a coffee and walk around Gastown: There&apos;s no shortage of excellent third-wave coffee spots in Gastown, but as soon as we went to Revolver, I knew I&apos;d found the spot. Everyone there looks like a very serious coffee drinker (one barista had a Chemex tattooed on her arm), but they&apos;re not pretentious. 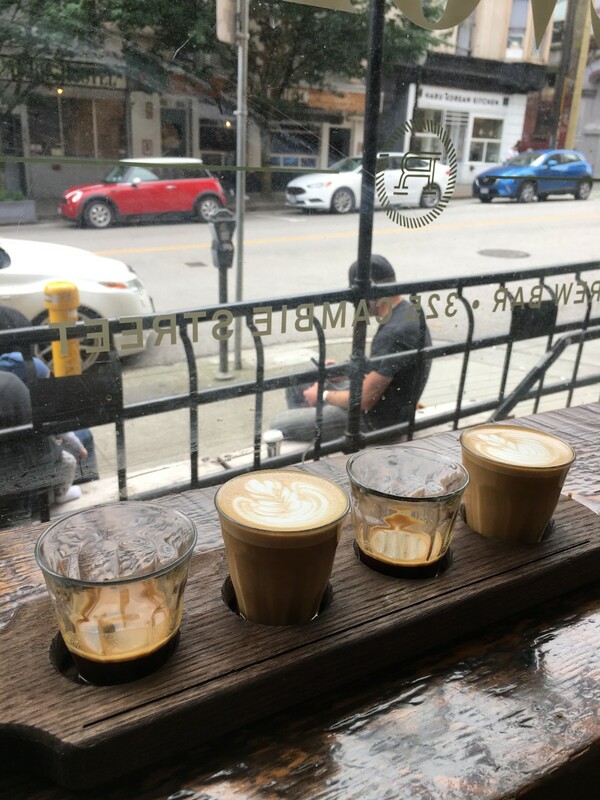 When I ordered an "Espresso Flight" of two different espressos, each served with milk and straight, they took the time to explain the flavors in each espresso. Once you&apos;re fully caffeinated, walk down Water Street and Cordova Street to check out some of the independent stores. Two of my favorites were The Good Spirit, a "metaphysical boutique," and a beautifully-curated clothing store called One of a Few. 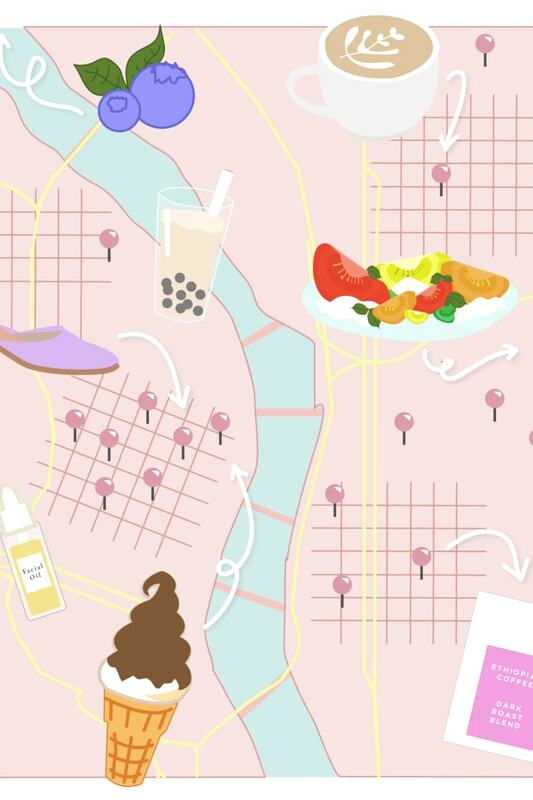 Other notable coffee spots include: East Van Roasters and Timbertrain Coffee Roasters. 11:30 a.m. Pick up picnic supplies: One of the most highly recommended spots in Vancouver was a sandwich shop called Meat & Bread. Each of their sandwiches each feature a different type of meat (plus one vegetarian option) and they&apos;re all delicious (I know, because I had four over the course of the weekend). If you can only get one, make it the Porchetta with crackling pig skin. Grab it to-go and walk to Stanley Park. P.S., If Meat & Bread sounds familiar, it may be because they also have a location in Seattle! 12:00 p.m. 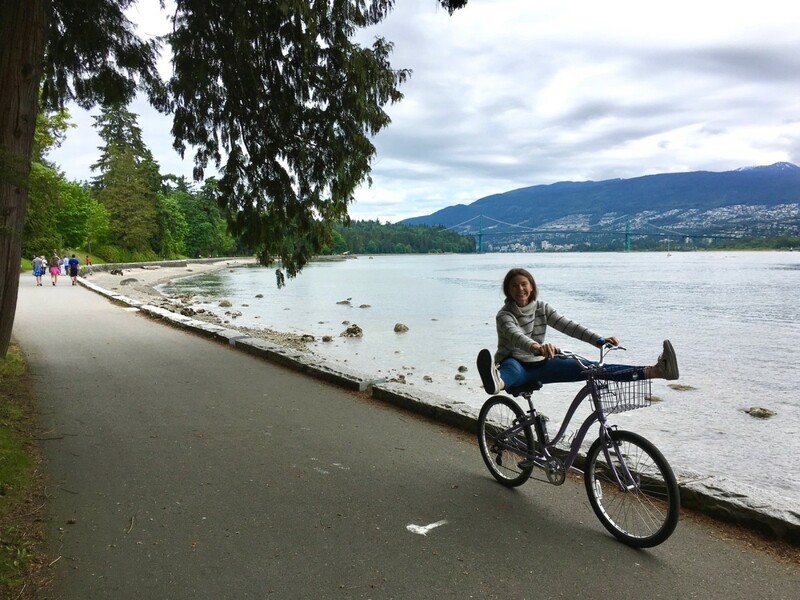 Rent bicycles and go for a ride around Stanley Park: One of my favorite things we did was renting bicycles to ride around Stanley Park. The park has unreal views of Vancouver Harbor, Lions Gate Bridge, and North Vancouver. You can stick to the bike loop that goes around the park, or park your wheels and venture in to see some note-worthy spots like Beaver Lake and the aquarium—or just find a picturesque bench to relax and enjoy your sandwich. We rented our bikes at Spoke, but there are plenty of rental places in the area. You may need a reservation on busy days, but there are several you can walk right up to without one! 3:00 p.m. 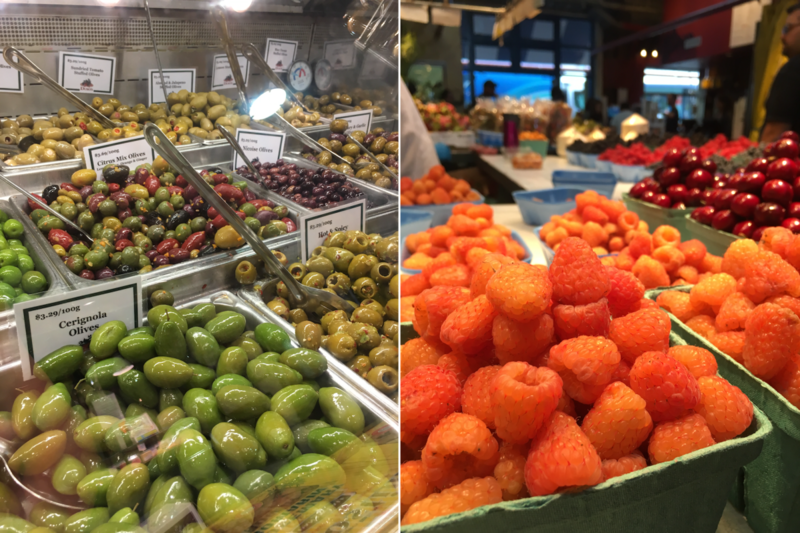 Walk or take a cab to Granville Island: The first thing you&apos;ll learn about Granville Island is that it isn&apos;t technically an island—it&apos;s a peninsula—and the second is that it has an excellent public market, which draws a ton of tourists. We spent hours wandering around and sampling from the stalls, which included a great olive oil stand (we bought a bottle of Pomegranate-Quince Balsamic for our Airbnb hosts), pickles, and poutine. If you&apos;re following this guide to a tee, you may also want to pick up snacks for tomorrow&apos;s hikes—we went with olives and marinated eggplant (though we probably could have gone with something a little more substantial, in retrospect). 5:00 p.m. Take a water taxi across False Creek to Yaletown: From Granville Island, you can easily take a five-minute water taxi ride to Yaletown (for a grand total of $3.50 one-way/person) down False Creek. You&apos;ll find tons of bars, where you can grab a quick beer before dinner, most notably Yaletown Brewing, which is a great spot to watch a hockey game! To be honest, we probably wouldn&apos;t have stopped if a game wasn&apos;t on—while it&apos;s a fun bar, there&apos;s nothing very unique about it. 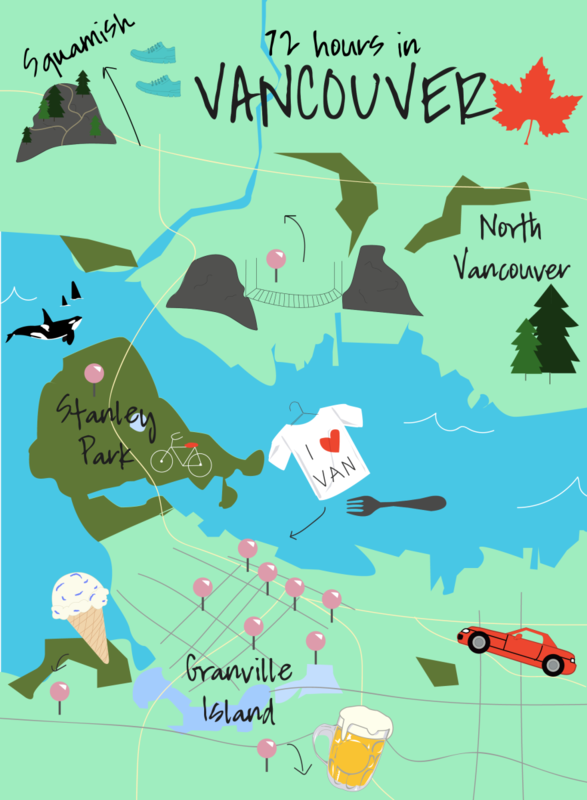 There are plenty of other interesting breweries in Vancouver, if that&apos;s what you&apos;re looking for. We also stopped and grabbed a cone from Rain or Shine&apos;s ice cream truck, which you&apos;ll find near the water, if you&apos;re lucky. 6:00 p.m. Grab drinks back in Gastown: After walking from Yaletown back to Gastown, we put our names down at Kissa Tanto, a restaurant we couldn&apos;t score a reservation at, but that fortunately saves room for walk-ins, then bided our time cocktail-hopping around Keefer St. and Pender St. in Chinatown. Great options include: Mamie Taylor&apos;s, Juke, and Juniper. 7:15 p.m. Get dinner at Kissa Tanto: This is one of my favorite restaurants and we indulged in an amazing three-hour long meal, which I didn&apos; want to end!). The design, from cool blush banquets to retro lighting fixtures is spot-on, and the food was fantastic. We had basically one of everything, but the stand-outs included oysters, "Tonno Mantecato" (a starter with confit Albacore tuna, furikake, and bruschetta with tobiko), and chicken with a shio koji dipping sauce. After dinner, we headed straight home to get some rest before a busy Sunday! 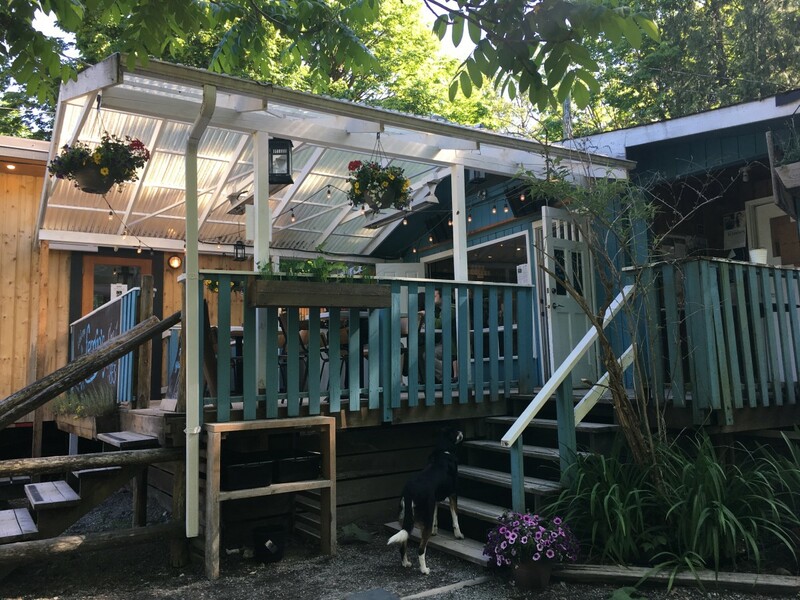 Where We Stayed: On Sunday night, we stayed in Squamish at another adorable Airbnb just outside of town, linked here! 8:30 a.m. Grab breakfast and rent a car: On Sunday, most of the local spots are closed for the day (including Revolver and Meat & Bread! ), so it&apos;s a good idea to get out of the city and go for an outdoor adventure, and the best way to do so is by renting a car. On our way to the car rental, we grabbed a few scones, some coffee, and something called "Morning Glories" from Purebread, before heading north. 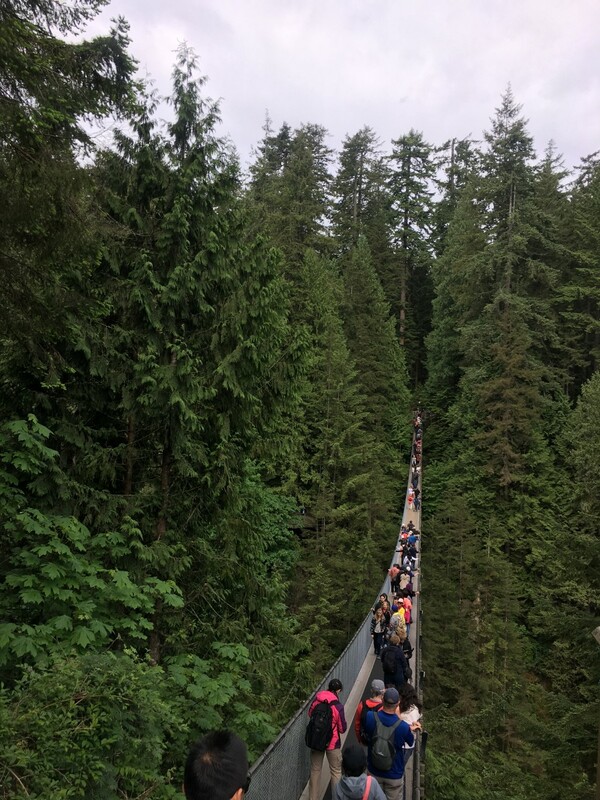 9:45 a.m. Visit the Capilano Suspension Bridge Park: Only fifteen minutes outside of downtown, this bridge is a huge tourist destination, and it&apos;s easy to see why: The park is beautifully constructed, with a jaw-dropping (and heart-sinking) suspension bridge over a valley, and a "tree walk" through old-growth trees. Tip: The earlier you go the better—before 10 a.m. is usually a good bet. While beautiful, it can feel a little like Disneyland with all of the crowds. 11:00 a.m. Drive to Squamish: One of the best things about Vancouver is actually how easy it is to get out of Vancouver—and into nature. 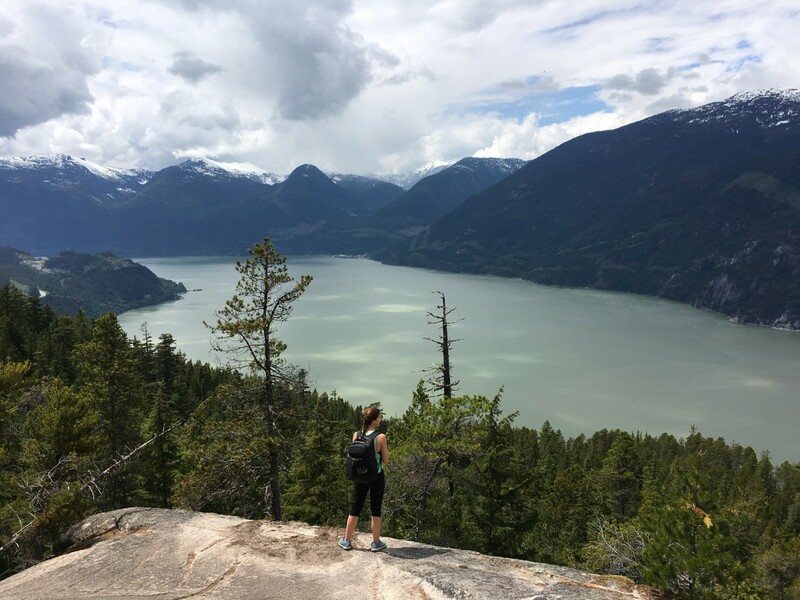 The forty-five minute drive to Squamish, the so-called "adventure capital" of the world, is breathtaking, full of cliff-hugging roads with beautiful views of Howe Sound and Anvil Island. It&apos;s worth visiting for the drive alone, but gets even better once you arrive. 12:00 p.m. to 3:00 p.m. Hike Sea to Summit (or take the gondola! ): Here&apos;s something we quickly learned: a Canadian "moderate" hike is an "extremely difficult" hike everywhere else. 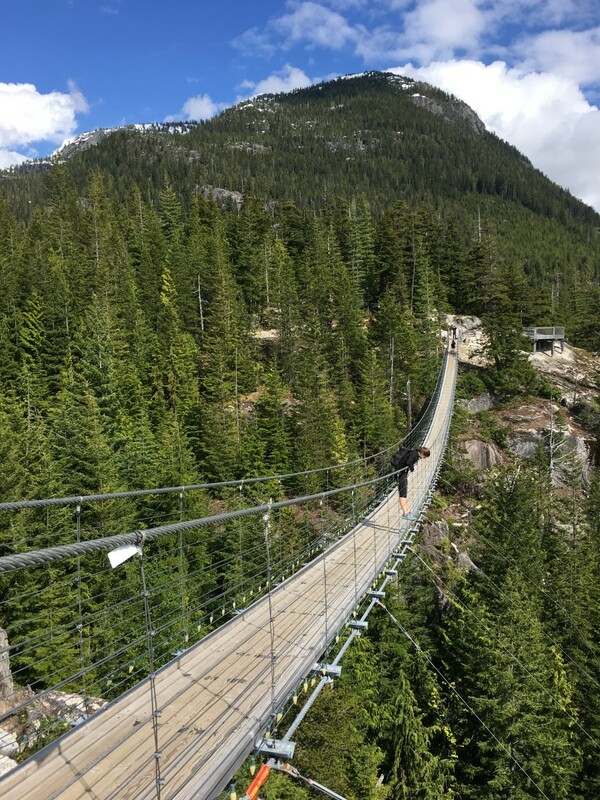 During the five-mile hike along Shannon Falls and, in some parts, along the Chief Trail, you&apos;ll scramble up rocks, need ropes to get up particularly steep sections, and ascend 918 meters (they don&apos;t call it Sea to Summit for nothing). It&apos;s definitely a great adventure, but not one for inexperienced hikers. It took us about three hours but could easily take five if you want to take more breaks. Luckily, it was made all the more rewarding by the views from the top, which included a crazy suspension bridge with fjord views (! ), and a well-earned beer at the lodge. 4:00 p.m. 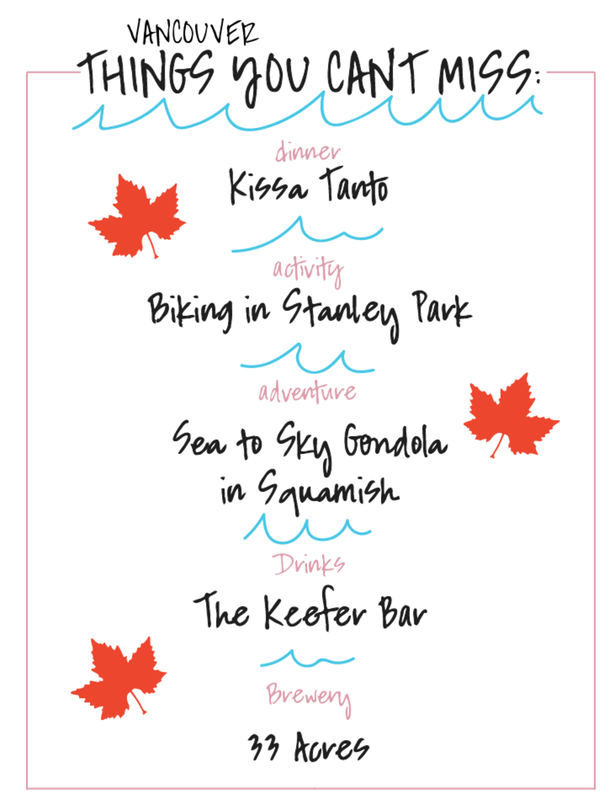 Check into your hotel/Airbnb then explore Squamish: After showering and unpacking, we joined our Airbnb hosts and their friends for a quick glass of wine and learned that they&apos;re all Squamish transplants, from the States and other parts of Canada. The outdoor activities—particularly hiking and bouldering—draw people from all of the world. Afterwards, we left to visit an unassuming bar they recommended, Watershed Bar (which happens to sit at the edge of a bald eagle reserve! ), and were dumb-founded to walk up the hill and discover it also sits on one of the most beautiful rivers I&apos;ve ever seen, the Squamish River. Definitely one of the top-ten most beautiful places I&apos;ve had a beer. 5:00 p.m. Grab some dinner: We found that when it comes to dinner in Squamish, locals will recommend one of three places: One of the two breweries, Howe Sound Brewery or Backcountry Brewery, or Sushi Sen. After driving around, we landed on the newer brewery of the two, Backcountry, which is known for its hoppy IPAs and pizza. They each have their own vibe going but if you can only go to one I&apos;d suggest Backcountry. It was the perfect thing after a day of hiking, and we stayed until sunset, at which point we drove around Squamish to get the best possible view of the light reflecting off of The Chief, an El Capitan-like rock face that towers over the city. 9:00 a.m. Get breakfast at Fergie&apos;s: One thing we heard over and over again in Squamish was, "If you eat anywhere, make sure it&apos;s breakfast at Fergie&apos;s." The breakfast spot is part eco-lodge, part local go-to with outdoor seating and a no-nonsense menu of classic diner fare and "Smoked Salmon and Avocado Bennies." 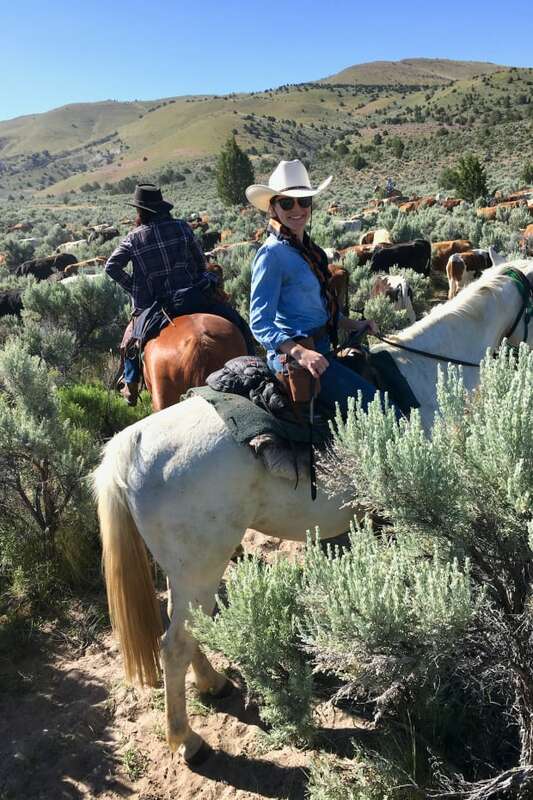 From there, if you&apos;re feeling really adventurous, you can do a river raft tour or go horseback riding at Diamond Head Outfitters! 10:00 a.m. to 11:00 a.m. Go to 33 Acres for "second breakfast" and a beer. After a long breakfast, we drove back to Vancouver and straight to a brewery we&apos;d been highly recommended, 33 Acres. The beers were great—I especially loved their &apos;33 Acres of Echo&apos; and &apos;33 Acres of Darkness&apos; and their design and branding was so impressive that I&apos;m now the proud owner of a 33 Acres shirt (I went from knowing nothing about the brewery to super-fan with a shirt in about thirty minutes). 12:00 p.m. Visit some of Vancouver&apos;s beaches. Vancouver has countless recreational areas including white sand beaches. If you have time, head to Kitsilano Beach (the same area where Lululemon is from, for all you yoga pant lovers! ), where you can stretch out with an SUP class before your flight. 1:30 p.m. Grab lunch for the flight. Before heading back to the airport, grab some lunch to take with you, either at Meat & Bread (if you&apos;re as obsessed with it as I now am) or at Bestie, a cute Chinatown spot that serves bratwurst and cider, if you have time! 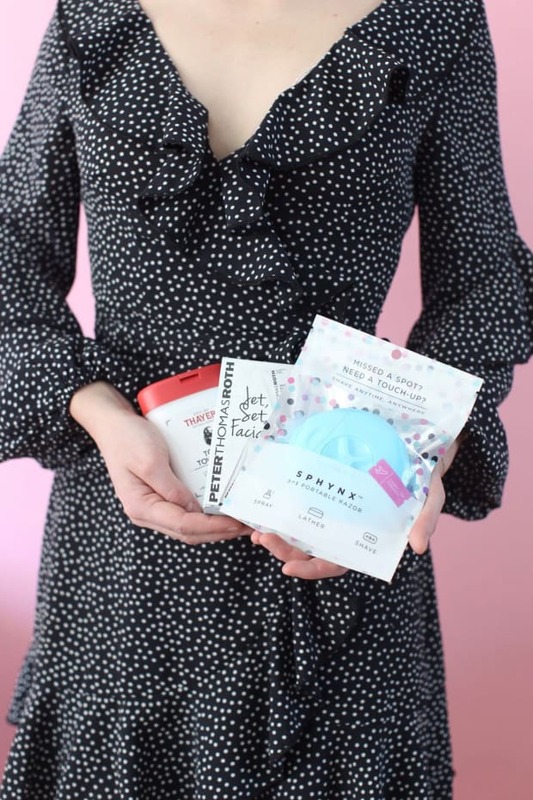 Quick note: I didn&apos;t have a lot of time to read or watch anything this weekend, since I piggy-backed Memorial Day weekend with a second long weekend to Vancouver, so instead of this week&apos;s Leslie&apos;s List, I shared what I did there! I&apos;ll be back next week with more tips and recs!